A properly drafted and enforceable will is one of the core elements of estate planning. The main functions of a legal will are to distribute your property on your death to your chosen beneficiaries, to choose an executor to administer your estate, and to nominate a guardian to care for any minor children. The Law Office of Brandon S. Glosson has the skills and expertise necessary to ensure that your last will and testament meets your goals and is enforceable. Whether you just need a basic will or a will with more advanced features such as testamentary trusts, we can assist with your estate planning needs. Please contact us today to schedule an appointment. It is never too early for parents with children to have a will made. 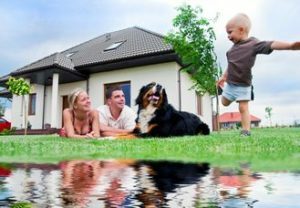 Depending on these factors (and others), what happens to your property if you do not have a will can vary significantly. In some cases, your property could even go to the State of Texas. 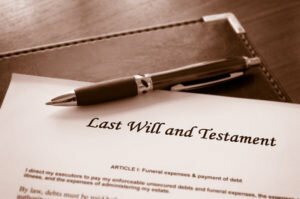 Rather than risk the uncertainties of Texas intestacy law, it is preferable to have a Texas wills lawyer prepare a will for you. That way you, rather than the state, will direct who will receive your property after you die. A specific sum of money to an individual or organization. For example, you may wish to give a certain sum of money to a charity. A specific sum to a class of beneficiaries. For example, you may wish to gift a sum of money to be divided evenly among your grandchildren. A percentage of your estate to an individual or organization. For example, you may wish to gift a percentage of your estate to a lifelong friend. A percentage of your estate to a class of beneficiaries. For example, you may wish to gift a percentage of your estate to your parents, if they survive you. A specific parcel of property to an individual or organization. For example, you may want to give the family home to a particular child. A life estate in a specific parcel of real property, and then to a second person after the first person dies. For example, you may want to allow a second wife to use a vacation property for life, but to give the property to a child from your first marriage after your second wife dies. A business interest to a specific beneficiary. A specific asset to a specific beneficiary. For example; you may wish to give your wedding ring to your daughter or your college ring to your son. When couples have children who are under the age of twenty-five, we often draft their wills to include testamentary trusts. A testamentary trust appoints a responsible adult to manage the child's money and provide for the child's health, education, maintenance, and support until the child gets older. After the child reaches adulthood, we normally provide that the child will receive half of the remaining funds when the child turns twenty-five and half of the funds when the child turns thirty. Whatever your needs, the Law Office of Brandon S. Glosson is ready to draft a Texas will based on Texas will law protects your family and accomplishes your goals. Who Should Administer Your Estate? The executor of your will should have the right qualities. When you die, the executor named in your will is often the person that will be in charge of finalizing your estate. An executor's tasks include initiating probate proceedings, taking control of and maintaining property that will pass through your will, notifying creditors, paying required debts and taxes, and carrying out the instructions in your will. Trustworthy. Your executor will have access to all of the assets that will be distributed through your will. It is important to choose an individual who can be trusted with those assets. Organized and Financially Savvy. Your executor will need to accomplish several tasks as they administer your estate. These tasks may include working with family, professionals, financial institutions, creditors, the legal system, and other government entities. An organized, financially savvy individual will have a head start. Good Communicator. Your executor will need to navigate the emotions and needs of family members as well as the procedures and interests of government and businesses. Someone who can listen, relate, focus, speak up, and ask questions is ideal. Local. Most likely, probate will take place in the county where you live, and the majority of your assets will be close by as well. Because the majority of the tasks that your executor must perform will be accomplished where you live, it is usually best to choose an executor who lives close to you. The Law Office of Brandon S. Glosson would be happy to discuss and brainstorm your choice for executor with you. Please contact us today to schedule an appointment. Who Will Act As Guardian for Your Minor Children? One of the most important parts of a will for parents of young children is the nomination of guardian. A guardian is the person who will have the legal authority and responsibility to take care of your child if you cannot. Courts place great weight on a parent's choice for their child's guardian. However, if you do not formally nominate a guardian, a court will determine who should raise your child. As your child's parent, you are considerably more qualified to make this decision so you should not leave the decision to the courts. When selecting a guardian for your child there many qualities to consider. First and foremost, your proposed guardian should be able to provide a loving and stable home for your child. Your proposed guardian should be responsible and should be up to the task of caring for your child both mentally and physically. Ideally, your proposed guardian will already have a good relationship with your child. When selecting your proposed guardian, it is a good idea to make a list with all of the qualities that you would like your child's guardian to have. Your list can include items like financial stability, core values, temperament, lifestyle, religious views, political views, and interests. Then, you can list potential candidates for guardian and rate how well they match each item on your list. Once you have rated your potential guardians, cross-off any that have any 'deal-breaker' characteristics. From there, you can narrow your list of potential guardians to the two or three that you decide to nominate as potential guardians for your child. In most cases, your proposed guardian will also be the trustee of your child's testamentary trust. However, there are times where different persons should fulfill the roles of guardian and trustee for your child. For example, your friend 'Janie' may have a great relationship with your child, have excellent parenting skills, and be a great role model. However, 'Janie' may not be good with money. In that case, you could nominate 'Janie' as your child's guardian, but appoint 'Jackie' to manage the money that will be used to pay for your child's needs. With a little planning, you can arrive at a solution that is best for your family. A will that lays out how your property will be distributed, specifies who will administer your estate, and nominates a guardian for any minor children is an important element of every estate plan. Contact the Law Office of Brandon S. Glosson today to get started with an estate plan that is right for you.